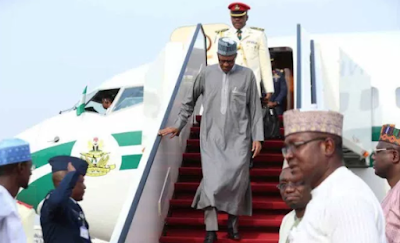 Security have reportedly been beefed up in Umuahia, Abia state capital and its environs as the state gets set to host President Muhammadu Buhari, Vice President Yemi Osibanjo, All Progressives Congress (APC) chairman, John Odigie Oyegun and other stakeholders of the party on Tuesday January 9. President Buhari who would be in the state for the first time after being elected President of the country for a mega rally organized by the party at the Umuahia Township stadium would also used the opportunity to present to the people of the state, some political bigwigs in the state who had joined the party from Peoples Democratic Party (PDP) and other parties. Though information about the president’s visit was still sketchy until the time of filing the report, it was gathered that Presidential advance team were already in the state while security have been beefed up at flashpoints and other sensitive areas in the state especially in Umuahia as steps to ensure a peaceful visit of the president. The Publicity Secretary of the party in the state in a chat with our reporter described the coming of the President as landmark, stressing that Buhari’s visit would further boost the preparation of the party towards unseating the PDP led administration in the state in 2019. Godson disclosed that the coming of President Buhari would attract leaders of the party from the southeast including the chairman of Governors’ forum and Imo State Governor, Owelle Rochas Okorocha, former senate President, Senator Ken Nnamani, former Governor of Old Anambra State, Chief Jim Nwobodo, ministers from the southeast, immediate past governor of Enugu State, Barr. Sullivan Chime, immediate past governor of Ebonyi State, Martin Elechi among other APC stalwarts in the country in general.